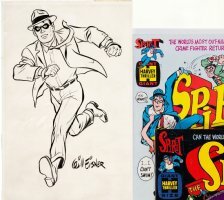 EISNER, WILL - Nubbin The Shoeshine Boy daily, very rare 1940's prototype example by Eisner. 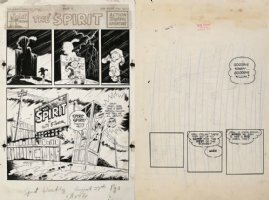 Two original panels and two missing panels recreated. 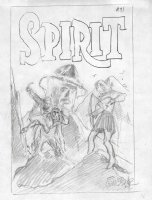 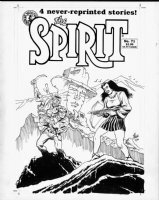 EISNER, WILL - Spirit "The Underground" #1 1-PG Story, final Spirit Sunday "legalize crime committee"
EISNER, WILL - Spirit #71 art cover + pencil cover bonus!